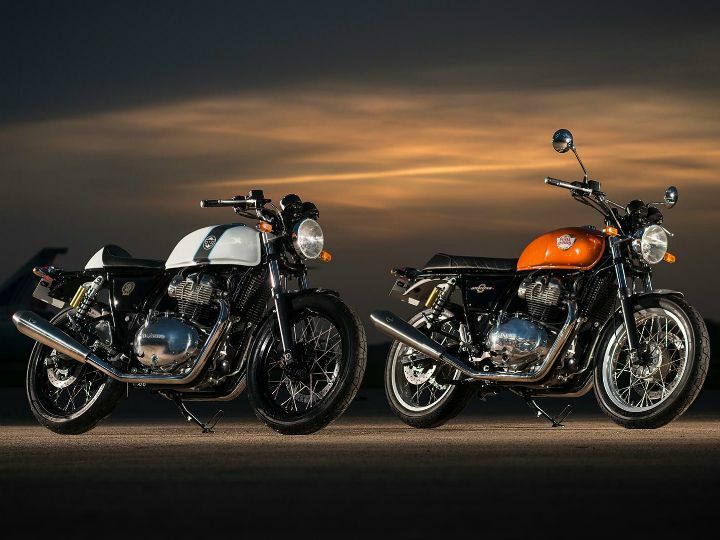 We already know that Royal Enfield's 650 twins - the Interceptor 650 and the Continental GT 650 - are still some time away from their domestic launch. Considering most of their details, including the owner’s manual, are already available online, the only aspect that remains a mystery are their prices. While the company has so far kept mum about it, here are some factors that could give us a brief idea of their prices. Let’s be honest, most motorcycles from Royal Enfield’s fleet don’t face any direct competition in their respective segments. However, if we are to go by engine capacity, the Interceptor 650 and Continental GT 650 seem to be in the same segment as other heavyweights such as the Harley-Davidson Street 750 and the Kawasaki Z650, both of which have already carved out space for themselves. Both companies offer superior quality and refinement, something which the Chennai-based brand currently fails to offer with their current crop of motorcycles. If RE intends to sway customers from the Harley camp, it’s only logical that they price their products competitively. If you're reading this, you’ll already know that both motorcycles pack an all-new twin-cylinder engine built from the ground up. This alone has the potential to drive up the price considerably. However, Royal Enfield has implemented several cost-saving measures to keep things under check. For example, the company has gone for a simpler parallel-twin architecture instead of the more complex V-twin setup traditionally found on such bikes. And instead of liquid cooling, both motorcycles employ an air-cooled motor. Not to mention, this new engine uses a compression ratio of 9:5:1. From what we can tell, this should lend both motorcycles a pretty easy-going nature. For reference, the more performance-oriented Kawasaki Z650 and Harley-Davidson Street 750 have a compression ratio of 10:8:1 and 10:5:1, respectively. These numbers suggest the kind of punch you can expect from every power stroke, something which both the motorcycles offer. In comparison, the RE Twins aren’t going to be the punchiest of the lot. Hence, they won’t be an outright rival to the Harley and Kawasaki, at least in terms of performance. Royal Enfield knows this and is likely to price both motorcycles lower than the other two to increase its appeal. Currently, the Kawasaki Z650 is priced at Rs 4.99 lakh while the Harley-Davidson Street 750 retails for Rs 5.25 lakh (ex-showroom Delhi). Considering Royal Enfield’s likely to give its upcoming twins an aggressive price tag, we expect the Interceptor 650 to be priced around Rs 3.5 lakh and the Continental GT 650 to be around Rs 4 lakh (ex-showroom). If this holds any merit, it won’t be far-fetched to say that RE will have quite a hit on their hands.